I woke up with this recipe in my head. It’s not perfect yet, but is pretty darn tasty, and at 450 calories for the entire batch, you can eat ’em all for breakfast and not feel guilty. 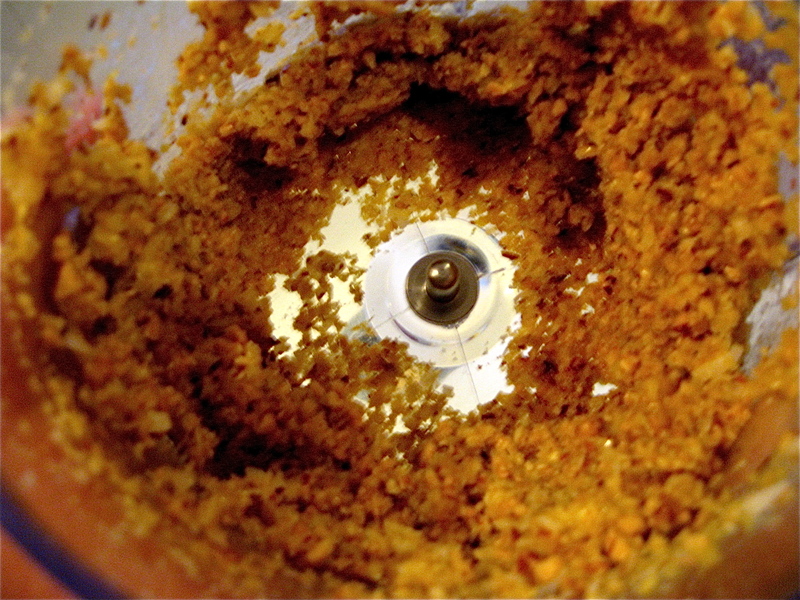 Process almonds, coconut, and cereal in food processor until it’s a coarse crumb consistency. Add eggwhite, stevia, coconut extract and salt, and pulse until it comes together. “Dough” will be sticky. Roll into balls, or form into little cookies and put on a baking sheet lined with parchment paper (if you don’t have parchment paper, try spraying the cookie sheet, they shouldn’t stick). Bake at 325 degrees for 10-12 minutes or until lightly browned on the bottom. I think next time I will play with adding a splash of almond milk and letting the dough set up in the fridge a few minutes. I wanted these to be a bit chewier than they were. 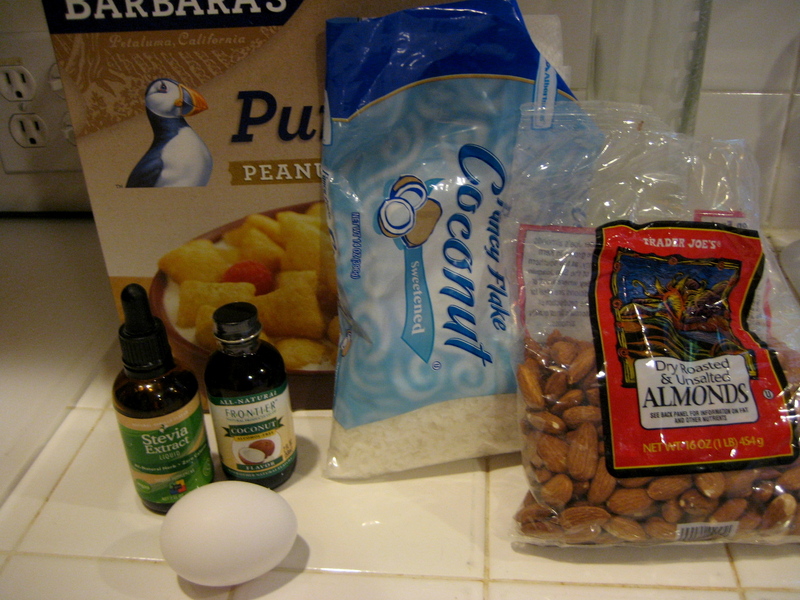 Could also lessen the cereal and up the almonds. Will play and keep you posted…you should play with this, too! 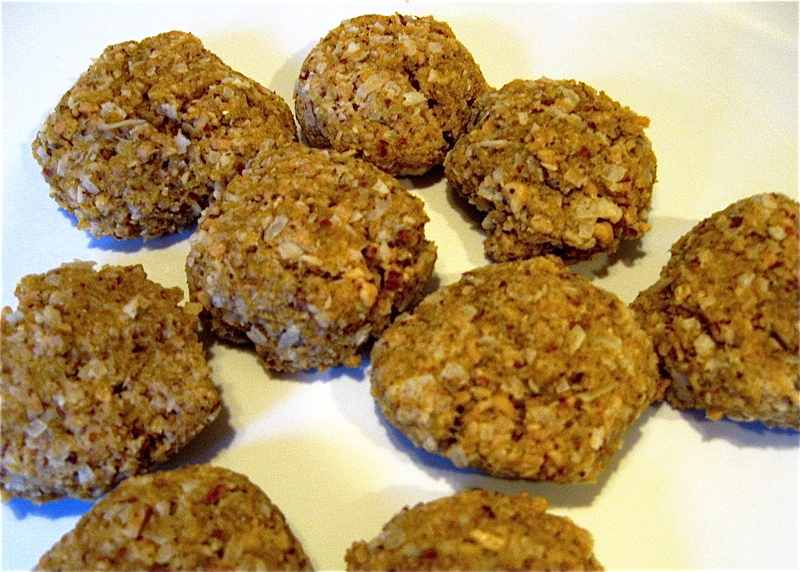 If you wanted to be super healthy, you could use unsweetened coconut, sub the Puffins for oats…go sick.